Easter weekend is almost upon us! I’m a big fan of celebrating changing seasons and Easter is all about Spring, fertility, new life & chocolate. I know that most people settle down for a big Sunday lunch and it’s the highlight of the day. But as far as I’m concerned, it’s all about breakfast! 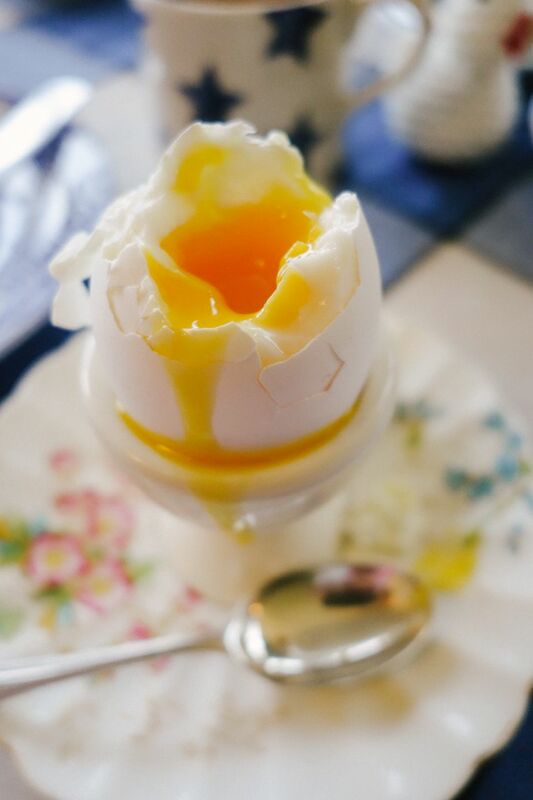 And there’s just no Easter breakfast like dippy eggs & soldiers. This year I thought I’d try something a little bit special. These are pretty heroic soldiers, and as such, they deserve to be decorated. They deserve a parade and medals and confetti! They deserve a kiss, nay! A snog of flavoured butter. Only then will they be ready to do their duty and dive into the middle of your perfectly runny, Easter egg. So this year I’ve made three delicious, very different, flavoured butters for the table. Sliced into medal shapes, and everything. They’re easy as can be and really jazz up the breakfast table. You can make any flavour combination your heart desires. All you have to do is blend up your flavours with some room temp. butter (please don’t use margarine or the “spreadable” butter packs, they’re not good for you). You can use a magimix or do it by hand, just ensure your ingredients are finely chopped & evenly distributed. For coriander I put a handful of coriander (cilantro) and one roughly chopped chilli into a food processor. Dice it all up into a fine grass. Then add about 150g (5.2oz) of room-temp butter. Blitz it all together again, add a little flaked sea salt as it’s churning and it’s done! Lay a sheet of clingfilm out and pop your butter into the middle. Then just roll it up into a buttery sausage. For the lemon & thyme I used the rind & juice of one lemon. A good sprinkling of thyme leaves (you can use dried or fresh), a few good grinds of black pepper and a pinch of flaked salt. For the ancho, I finely chopped about 8 anchovies and blended them with the butter. No salt needed in this sucker! If you don’t have any cling-film you can always squish the butters into ramekins, cover them up and put those in the fridge. When you’re ready, you can *crack* on with your eggs! Put a pan of water onto boil. You need enough water to just cover the eggs. Once it’s “rolling” with big ol’ bubbles, gently place your eggs into their bath. If they’re very fresh then they need 5mins (use a timer, don’t guess). If they’re not all that fresh, they’ll need 4mins. Just enough time to make your toast! When the pinger pings, whip the eggs out & serve with your toast, butters and lots of tea. Spread your chosen butter generously, THAT’S AN ORDER! And then you’d butter get ready for the dip of a lifetime! Of course you might need two or three eggs, y’know just so you can try all of the butters. There you have it! The perfect accompaniment to this year’s Easter Sunday breakfast table! If you find yourself with leftover butter, you can keep it in the fridge for about a week, or the freezer for months. Delicious with steamed vegetables, steak, buttery prawns, corn, all sorts of things! While you’re enjoying your heroes, give a little thought to the real ones and *spread* the love.